We found 9 episodes of Monster Dear Monster with the tag “film”. We discuss the 2001 film, Dagon, as well as the 1917 short story, Dagon, by H.P. Lovecraft. We cover the 2002 live action film, Scooby Doo, and the 2016 graphic novel, Scooby Apocalypse. We return to talk werewolf lore in this episode. Matt and Dave are joined by returning guest, Stephen, to discuss a selection of Monsters from the Doom franchise. Matt and Dave discuss Mimics from the novel All You Need is Kill, and the video game, Prey. We discuss vampires and the films, 30 Days of Night, and Stakeland. We finish our discussion on werewolves and respond to listener questions and comments. Our first foray into werewolf lore, we take a look at the films, Late Phases, and An American Werewolf in London. 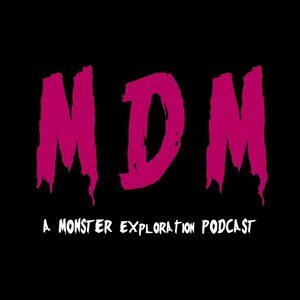 Matt and Dave discuss the film, Destroy all Monsters.